First Floor - 56th St.
Second Floor - 56th St. Seventh Floor - Miss Bonwit Jr.
A sad ending to a great store. 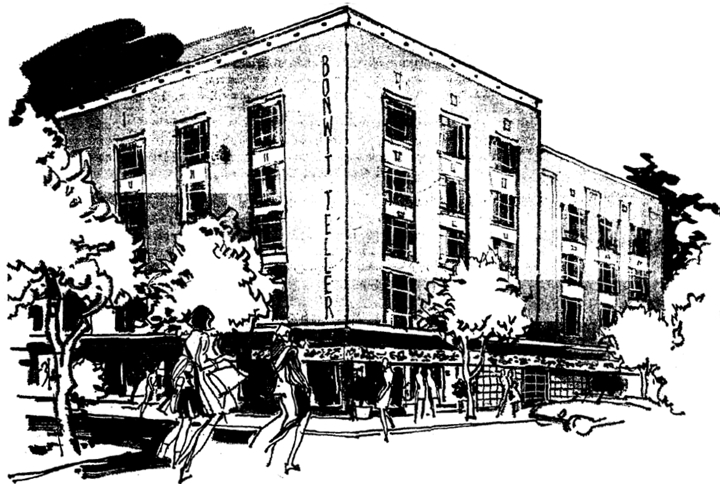 Columbiana Center in Columbia, SC never had a Bonwit Teller. Only Richland Mall ha a Bonwit Teller and it lasted less than 2 years. The wrong store for the wrong market. Those violet strewn bags and hat boxes!!!! So chic! They had just about the best men's store in NY and carried Hermes! Hermes! Such a sad, useless ending when that greedy Donald Trump built that hideous tower with a useless tacky mall inside. Such a shame!!! Love your information so neat.i bought a madame Alexander doll on EBay and it came from a Bonwit teller store but not sure which one.the doll has the box and a price tag of $310.00.I think that was probably about 35 years ago.The person i bought it from had it stored away for 35+ years smile.So that was in late 70's early 80's.It is such a beautiful doll smile.So i wanted to see and find out who you where and what you were about.Thanxs for the great pictures and information. 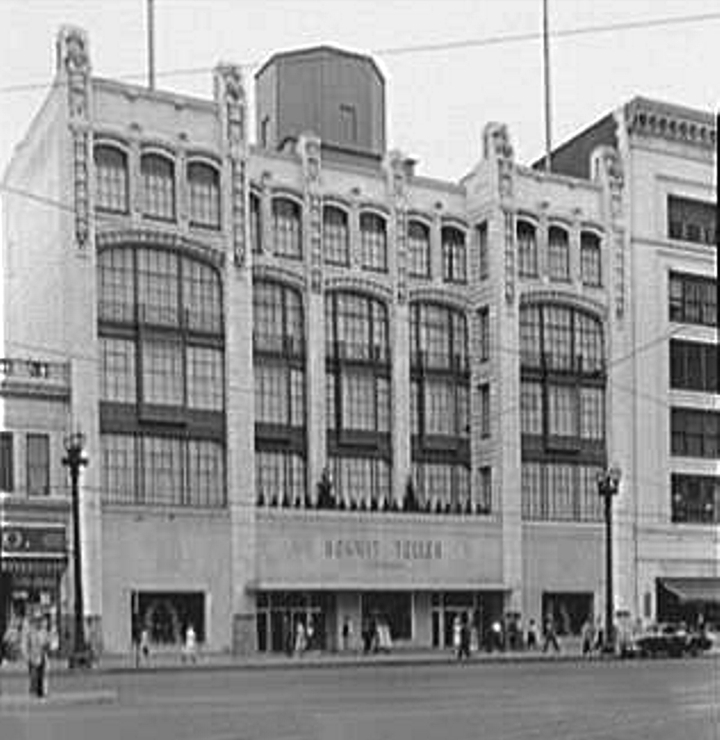 The Cleveland, Ohio Bonwit Teller WAS part of the original Bonwit Teller stores. I still have my original Bonwit Teller credit card from them which lists the Cleveland location on the back in addition to the original New York City location. The card is very very old as it carries my full address at that time and has a City and Zone number rather than a Zip Code--ie Cleveland 11, Ohio as opposed to Cleveland, Ohio 44111 which would be pre 1963 when then zip code system came in place in July, 1963. 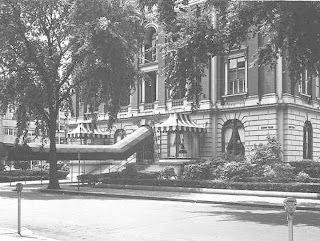 Bonwit Teller in Manhasset had one of the most beautiful store on the Miricle Mile in Manhasset, unfortunately the service was usually rude. Nonetheless it went out of business the same at B Altman for all the wrong reasons..greed being the major reason. So now its a Whole Foods store. 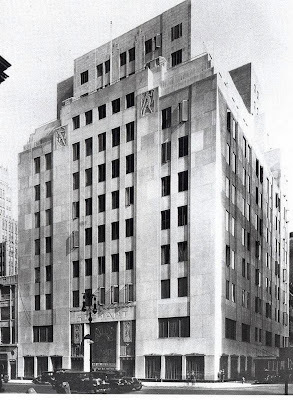 Back in the mid 70's I once ran into the old time actress Lillian Gish in Bonwit Teller on 56th. I mean literally ran into her...well a small mass of mink coat. I was told: you just bumped into Lillian Gish (I had never heard of her). Actually she walked into me, but I was a mere no one...very much like today! At least I had my brush with greatness. Wait, I am sure I have never seen a movie with her in it...who is she? I know one thing, she was clearly a Bonwit Teller customer! 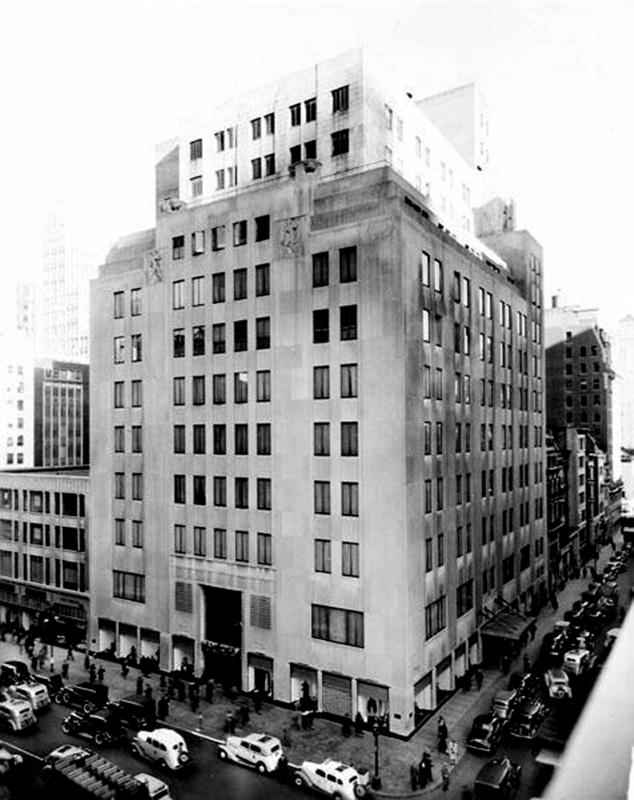 I am the daughter of a woman who worked for the original Bonwit Teller stores in NYC an WHite Plains. I still have a Bonwit Teller tin, a Bonwit Teller bear and her Bonwit Teller tag. I t broke my heart to see such a glorious, elegant store be so mismanaged and brought to ruin by companies like Genesco and Federated who didn't really give a damn about saving it and simply milked the cash cow until it was dry. My mother worked in the Miss Bonwit women's dept. 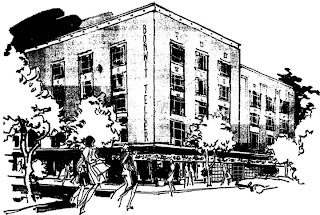 What wonderful memories I have of the original elegance and splendor of the NY and White Plains stores. I am the daughter of a woman who worked in the original NYC and White Plains stores for more than 30 years. It broke my heart to see the stores so mismanaged by companies like Genesco and Federated that didn't really give a damn about saving the stores, they simply milked the cash cow for everything it was worth and brought it to ruin. I still have an original Bonwit Teller tin, a Bonwit Teller Bear and my mother's Bonwit Teller badge. I have wonderful memories of the splendor and elegance of the original stores. How true. The shame is that very few people understand this sort of "splendor and elegance" of which you speak. I often wonder if something isn't fundamentally wrong when practically every single institution of this kind which grew and developed over many, many years, surviving even "the great depression," couldn't make it in the world we live in today. Thank you for the heart-felt comments! I visited the old Philadelphia store this weekend (now a Daffy's.. how the mighty are fallen!) and one can see the "bones" of what was once a great store..
My husband helped frame Bonwit Teller at The Carousel in Syracuse. Amazing soffits and beautiful paintings. Natural lighting down to the 1st floor. Sad to learn that the store has been closed - wished our son would have gotten a chance to see this ingenious design. I remember how perfume was sprayed in the entrance to the 5th Ave. store as one approached the revolving doors...a little sign near the doors identified the perfume one was enjoying...how elegant was that! In the opening scene of the film "Breakfast at Tiffany" as the taxi pulls up to Tiffany, and before Audrey Hepburn steps out, one can see the facade and street floor display windows of Bonwit's. You have to look fast, the shot is a short one. 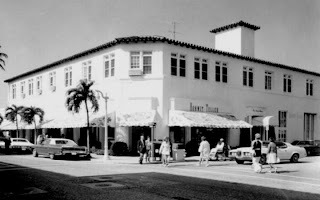 I always loved shopping in the early fifties and into the sixties with my Mom and Sister in Manhassett and Garden City. Back then, there were no malls, and living in Stony Brook in Suffolk County, we drove the near hour or so to the department stores and stopped for lunch in Garden City where my grandmother lived. 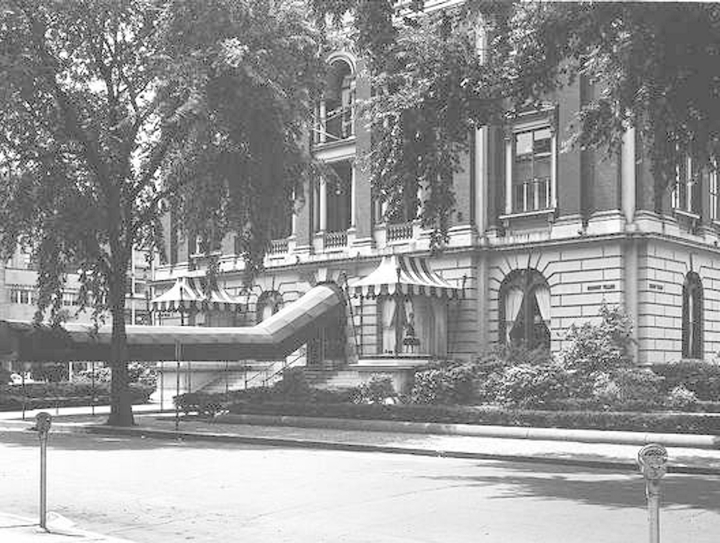 On other occasions we would have a treat right in one of the department stores such as "The Birdcage" or at a marvelous little place called the "Tiffin Shop" in Garden City. (That was my very favorite - it had a very grownup feel to it - the dining tables had white tablecloths and it was kind of dimly lit - but the food was lovely.) I later learned that "tiffin" means lunch in India.......but I digress. 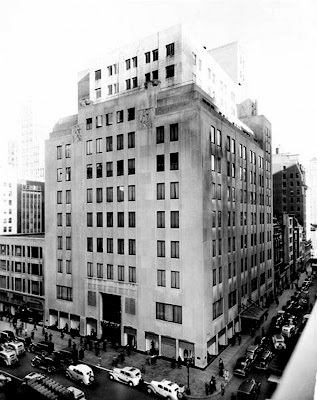 Places like Best and Co., Peck and Peck, B.Altman, Lord and Taylor and of course Macy's were a part of my life then - and wistfully only a couple have survived the decades. In the age of Wall Mart and Costco, Target and T.J. Max, I have a secret place in my heart for the old elegance - the special feeling of shopping. Shopping was a treat - a necessity as well, but the idea was to make a day of it - and it was in those collections of days that I believe my first eagerness to create art may have been stirred up. Thanks for the reminder and the timelines. 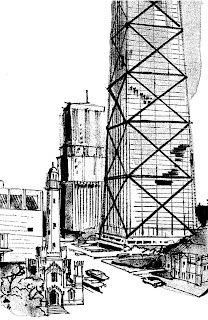 I would love to see a return to the elegant. I lived in NJ and frequented that BT a lot. 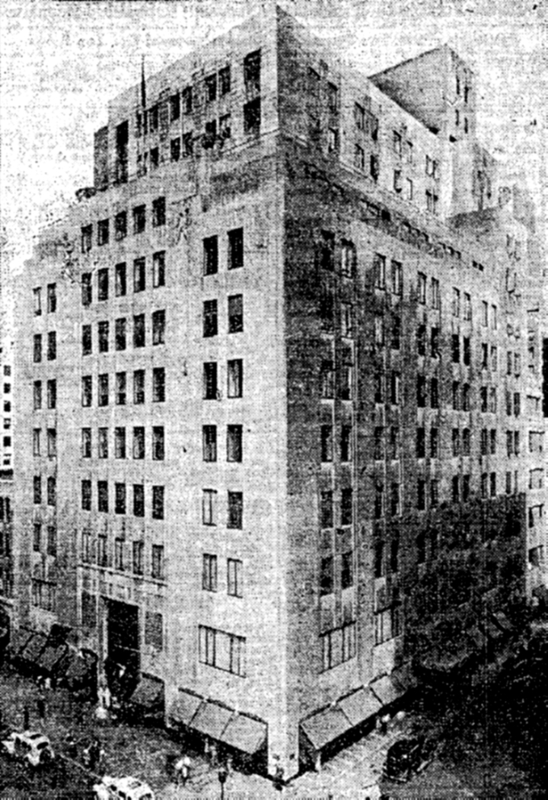 I remember it before the renovation, prior to Allied owning the company, when Genescoe owned them. The mall was a beautiful open air mall before the enclosure. BT was not terribly attractive inside, it was this hideous shade of lime green on the first floor, the lower level was all purple, except men's which was orange, and the upper level was black. This is one case where the renovation actually IMPROVED the store. They had a wonderful and elegant men's area and I miss that store terribly. Joe Licata: Let's pool our money together and restart BT. Your sentiment is the same as mine. I still have my old BT card, not the white card, but the plate they issued when Genesco owned it. OK, it was not the "butchest" card to cay, as it was lilac with the BT floral arrangement on it, all in pink. Still, it is a beauty of a card. And you are right, the NYC store was a masterpiece (as I also stated). I was not aware that Trump bought the land below the store and that is how he was able to get around it...what a slime-bag and what a horrible building he erected. hey ex-buyer, come clean w/ your name! Read the book: "Trump Tower" by Sy Rubin and Jonathan Mandell published by Lyle Stuart. 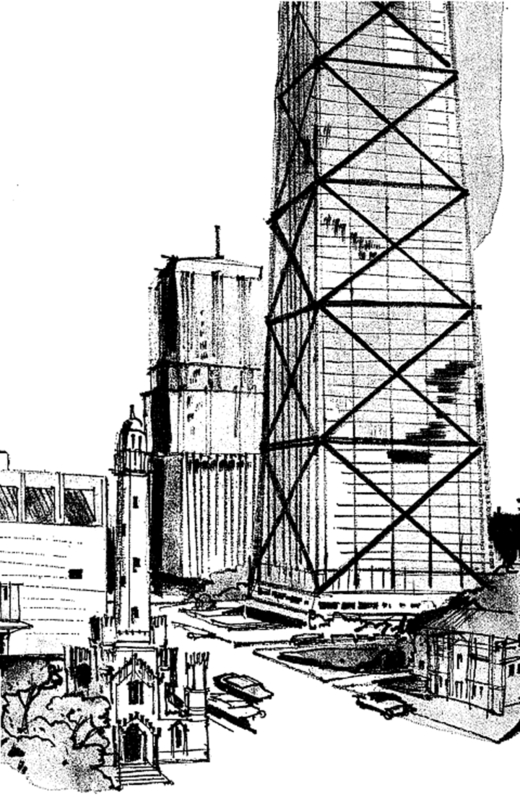 It chronicles the rise of the tower and the destruction of Bonwit's flagship. Even has some pics of it, which I find quite disturbing. 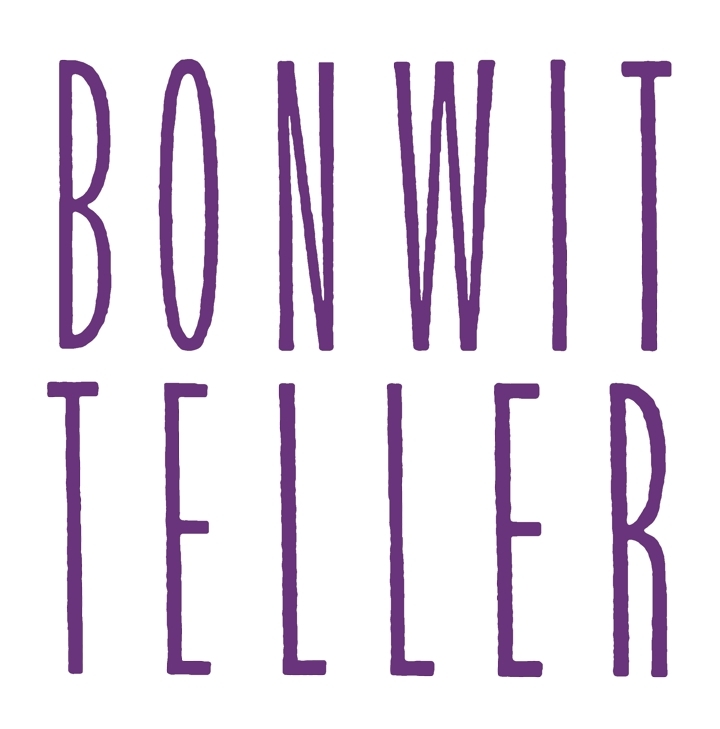 You know some company bought the rights to the Bonwit's name and was due to start opening stores including a flagship in NYC when the recession in 2008 derailed it. I also remember Bonwit's like an old lover! I remember my favorite shoes and beautiful dress with jacket. That was in the 60's and it's still my favorite outfit. What a store it was. 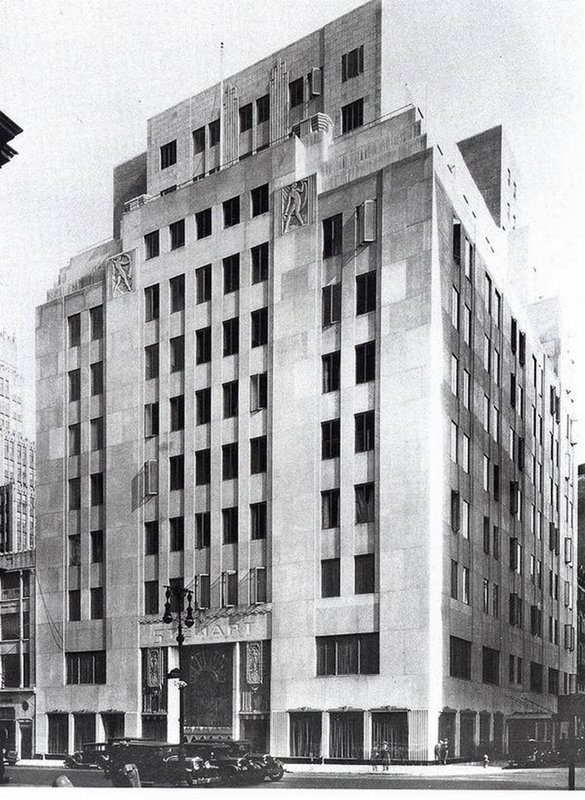 The site of that epitome of elegance and style -- Bonwit Teller - is now Trump Tower. How sad. I wish my daughter could have known the store as I did. 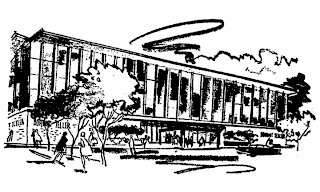 Regarding ex-buyer's store list, I grew up in San Francisco and there was never a Bonwit Teller in Palo Alto (or anywhere in Northern California for that matter). Wish there had been. I have been fortunate to acquire (on eBAY) several pieces by the great modernist artisan Georges Briard, one of the artists 'en residence' over many years supplying Bonwit-Teller with gorgeous and varied pieces of housewares and accessories. The story of the demise of the stores is as much a tragedy as it's esoteric tradition of commitment to cultivating original and meticulously crafted artisan works under their auspices. Bonwit Teller in Columbia SC (in RICHLAND MAll) was open for 2 years and was a 'real' BT. I worked there and shopped there. It was only open for 2 years though. I'm helping with a documentary on chef Edna Lewis who briefly worked at Bonwit Teller as a window dresser. We're looking for an exterior photo of BT and I wondered if someone here might have a personal photo you would be willing to contribute in exchange for credit and a copy of the finished DVD. You can learn more about Edna Lewis at wikipedia.org. You can reach me by clicking the 1200flasher link above. There was no Bonwit's in Garden City...wish there had been! In the movie Oliver's Story, there is a scene where Ryan O'neal walks through the main floor of the 5th Avenue store. I believe the film was shot in 1977 a year or so before the store closed. There are also scenes of Candice Bergen in the corporate offices in the store as well as an exterior shot of the Scarsdale store. There were two Bonwit Tellers in Boston. 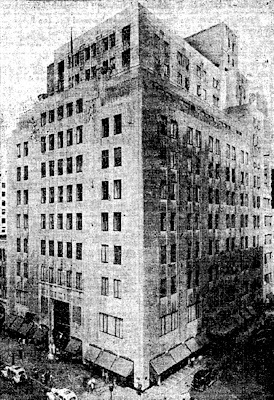 The first was in the building depicted on this site. They left town for a year or two, saying they'd be back with a new, much larger store. I worked at the Saks in the Prudential Center at the time. Rumors were swirling that the "new store" being built were just a way to allow Bonwits to make a graceful departure from Boston. The store's finances and future were shaky. However, true to their word, the store came back to Boston in a brand new building across the street (Boylston Street). They had a men's department, which the old store didn't have. The store was on two levels with floor-to-ceiling windows and great merchandise. I still have a few things I bought there. Unfortunately, the store only remained there for 18 months to two years. 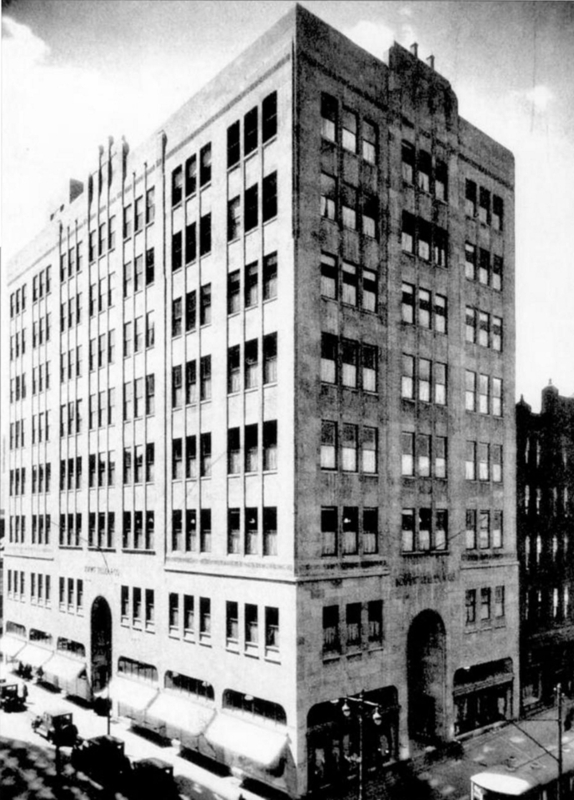 The building is still there and there is a Talbot's in the old Bonwit's space at 500 Boylston Street. I like to research and collect vintage advertisements for the luxury NYC stores like Bonwit Teller, B. Altman, Saks, etc. 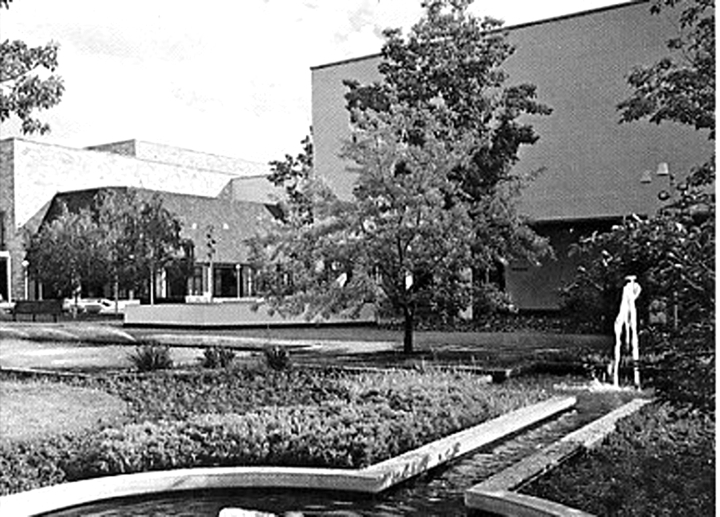 In 1976, BW's slogan was "You've changed, we've changed too." The year before, the logo was changed. One of the things I loved about the advertisements from the '70s and before was that many of them were hand-drawn (as opposed to photographed). 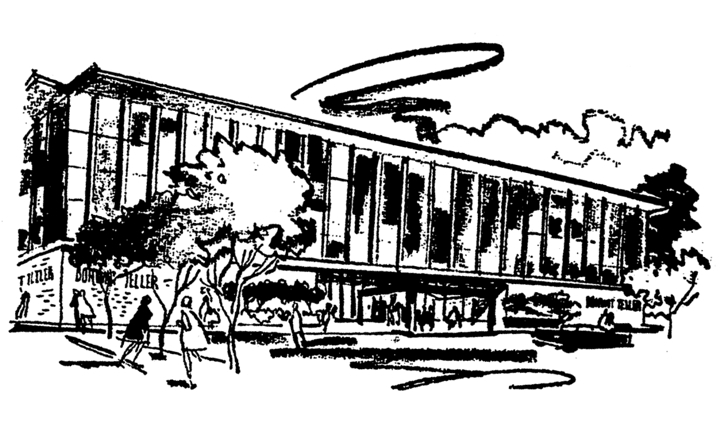 BW's advertisements were hand-drawn into the 1970's (I have a few) and they were very nice. 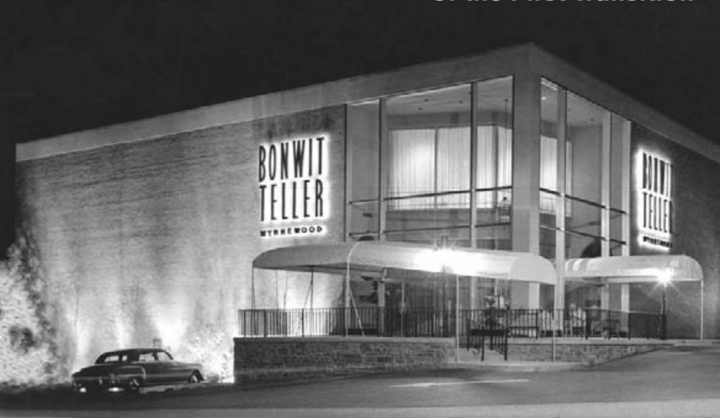 The Bonwit Teller in Palm Desert was a very modern, clean lines, elegant store, and it felt very New York City inside, but there was a coldness to it, and snooty sales associates. 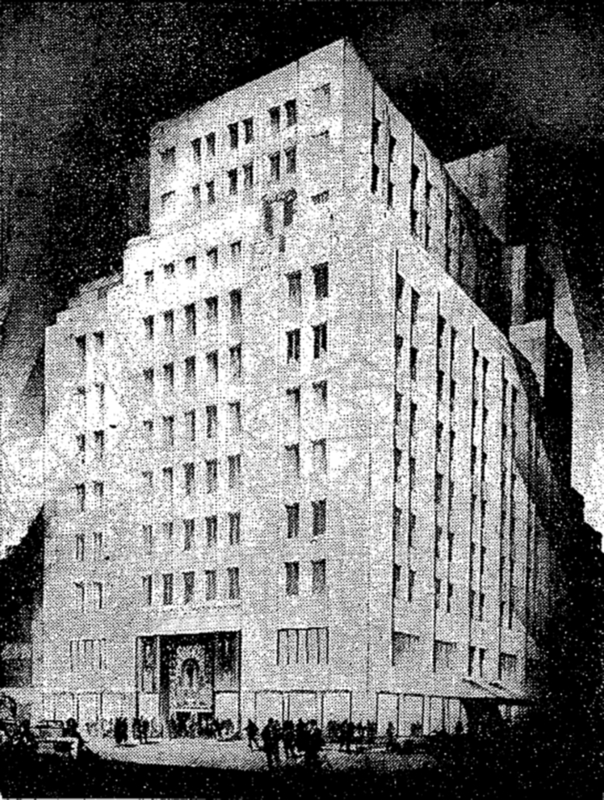 I still have my Bonwit Teller Card all employees received in order to use their employee discount, I ended up at the new Bullock's with more than the 20 hrs a week they had at BT for me. Bullocks Wilshire took over after BT closed and it brought new warmth to the store, and in the end it became I. Magnin which fit in very nicely. 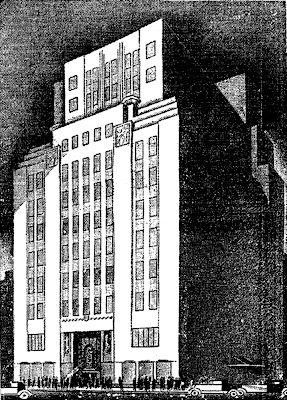 The building became Macy's Mens and Home, and last I heard it was to be torn down for a new larger Nordstrom store that was put on hold in 2008 when the economy went belly up. 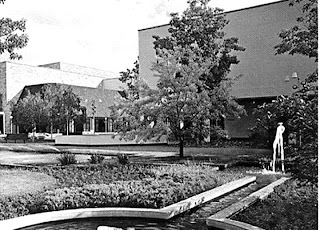 I worked in cosmetics sales at Bonwit Teller, at the Somerset Mall in Troy, Michigan. It was a grand store, indeed. 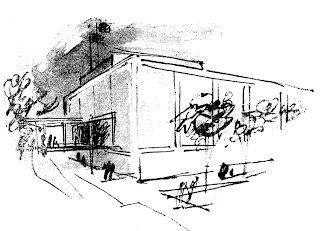 It was torn down and replaced with Nieman Macus store. Thirty years later (and I am only "Forever 21"), I returned to work in cosmetics at Saks Fifth Ave at Somerset Mall, the client had changed, along with the atmosphere. Before, everyone took their time, savor the shopping experience. Now, customers want salespeople to just bag it and move on. Everyone is in such a hurry to get to nowhere fast. Its sad, so grateful to remember how grand shopping could be. I remember my mom buying hats at the 5th Ave. store in the early '60's....smashing red velvet and a black felt boater. If the hat was under $25 you got a plain dark purple hat box....over $25 you got the famous white box with violets. How cool was that distinction! @ Joseph...I clicked your name and discovered you won an art gallery. I was just searching through my favorite website and spotted your post. while you are correct that someone bought the BT name, thus our plans of opening a store have goner out the window. I will visit your galeery next time I am in NJ. I remember my first time shopping at Bonwit. At the time it was in it's final location in NY...Trump Tower. I loved shopping there so much that I decided to apply for a job there. I spent some of my happiest days working there from 1988 through its final days in 1990. I miss the violets, and my wonderful boss, Anita. 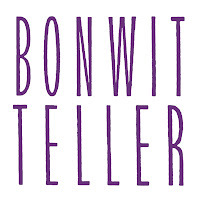 I lived in NYC in the late 70s and loved Bonwit Teller. In fact, I still have my Bonwit Teller credits card wtih its lovely floral bouquet! 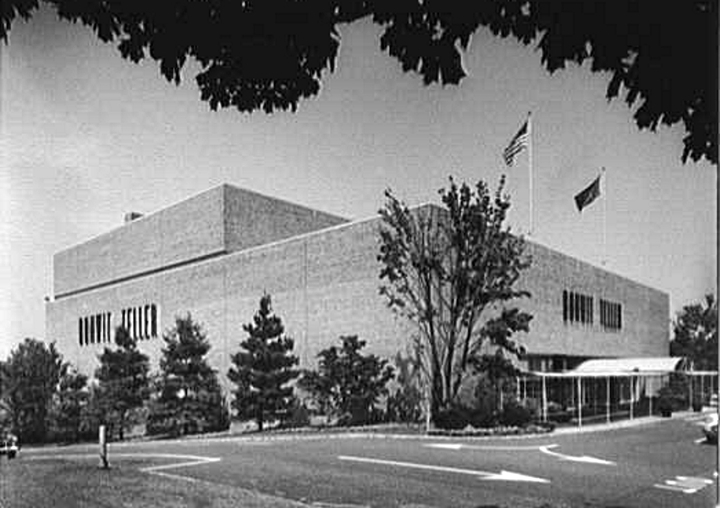 I worked at the New York Bonwit Teller in the eighties as a sales-clerk. It was a wonderful experience. The store was always impeccably neat. Every item a customer purchased was wrapped in purple Bonwit Teller tissue paper. I also enjoyed browsing the nearby stores, such as Tiffany’s. The store had a way of making you feel safe, sad to see any department store go, but especially Bonwit Teller, and I really miss my employee discount card. I took worked at Bonwit's 5th Ave store until its closing in 1990. Things I learned from some of the old time managers sent me on my way to a successful retail career of almost 20 years. I still have many purchases from my time there and memories of some wonderful friends. If ever a 5th Ave store opened again I would surely have to switch careers back to retail just to be there again! Their shopping bags were the prettiest--beautiful violets against a white background. I wish I had saved one from my shopping days during the 50s in Chicago. 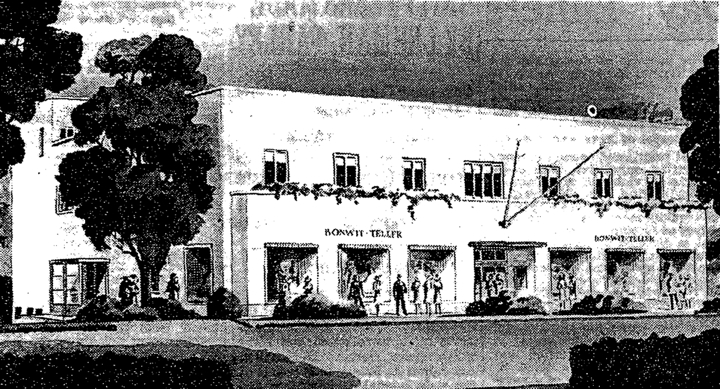 No one has mentioned the Bonwit's in Beverly Hills...they took over the old W. & J. Sloane building...painted it a chic powder blue that played very well with the violet awnings. That store had a style all its own...so different from Sak's and Magnin's (N-M hadn't come to Beverly Hills in 1972). 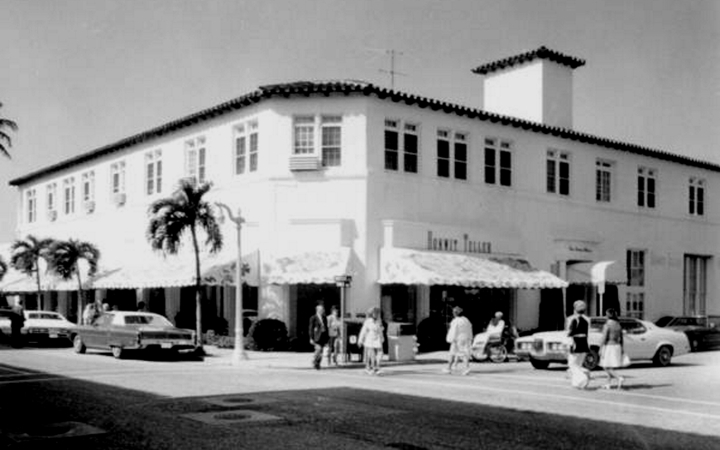 Bonwit's Beverly Hills store had a Fauchon boutique and, on the fifth floor, a Hamburger Hamlet restaurant. I ate there so many times when I was at Immaculate Heart in nearby Hollywood. They were the first restaurant in California to serve Haagen-Das ice cream (only three flavors, coffee, chocolate and vanilla). Such a wonderful store, and, as everyone else has said, so sad to see it go! I believe the lo-res version may be used without rights - hope this adds to the history of this wonderful store. My grandmother, Ethel Johnson Rienzi, was a buyer of suits at the original NY Bonwit Teller and also a friend of Paul Bonwit. I've often heard the story about how he wanted her at his side when he passed away, but I never understood the history of the store. Thanks so much for putting this all in one place, I am enjoying it and will be back as you continue to build it. Hopefully this comment won't get lost as the other did. Anyway, I'm sitting here with a smile on my face reading all the comments which brings back so many fond memories of working with Bonwit's in the late 80's. It was my first job when I landed in NY. It was one of the best experiences. I worked with some great bosses and the staff were amongst the best so far. I remember the elegance of the décor. Nothing like that these days. Those were the days when customer service meant something! I still have some of the jewelry I bought there and even a watch that I don't even think the company who made it exists anymore! I am going to enjoy following along and reviewing this site. Nice job. 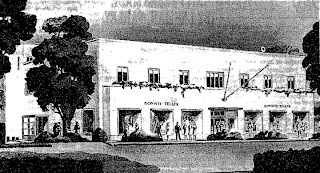 Bonwit Teller Beverly Hills actually took over JJ Haggarty's store at Wilshire Rodeo. The WJ Sloane building was next door and became Gumps. 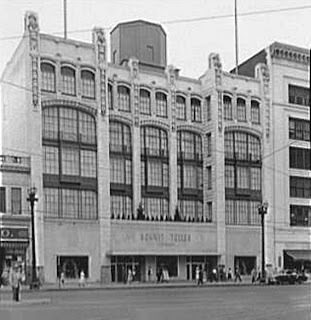 I frequently shopped at the Bonwit Teller in Troy, Michigan. What a wonderful store. I have a reversible rain slicker that is lilac on one side and violets on the other side, a beautiful scarf with a large spray of violets, and a tote bag that is white canvas with a large spray of violets. Of course, they all have the Bonwit Teller labels. I purchased my wedding gown in 1972 from the Bridal Salon. Miss Kay helped me with my dress and she attended my wedding. After my wedding, she sent my Wedding dress out to be cleaned and preserved. Do you know the name of establishment that Bonwitt used to preserved wedding gowns? There was a BT in Boston located in a former Post office building, marble floors and all. I didn't see any mention of this. I have a ton of Bonwit Teller hats from my grandmother in their original box. I was looking to sell them anyone interested or know where the best place to sell them is? I sold my mother's hats in boxes with sales slips. I still have 20 BT purple flowered paper sacks.